Mr. Young, the principal and owner of Tal Young, P. C., has been a farmer, a cattle rancher, an oil field roughneck drilling for oil in Texas and New Mexico, a general oilfield worker, has worked for an electric cooperative, has travelled worldwide and is a published international mountaineering photographer. Mr. Young is licensed to practice law in all state and federal courts in New Mexico and Colorado including the Court of Appeals, the Supreme Court and the 10th Circuit Court of Appeals. He has represented clients nationwide, having participated in federal and state cases in multiple jurisdictions, engaged in bankruptcy cases on behalf of creditors and debtors in United States Bankruptcy Court nationwide and has led oral arguments in the Supreme Court. 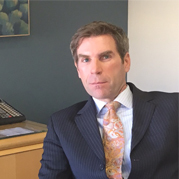 Tal Young, P. C. has extensive experience representing individuals, limited liability companies, corporations and financial institutions in bankruptcy cases in jurisdictions across the country, including New Mexico, Texas, Arizona, Virginia, New York and California, and has been appointed counsel on behalf of the Official Unsecured Creditor Committee in multiple Chapter 11 bankruptcy cases. Mr. Young’s varied and extensive background and “real world” work experience have afforded him the opportunity to understand the day-to-day operations of many industries and the inner workings which lead to their success or which may have contributed to their failure. His experience and association with foreign countries and their jurisdictions has given him an understanding of international foreign affairs. This profile has provided Mr. Young the unique experience of engaging in litigation and workout efforts worldwide. Despite the above, Mr. Young’s rural upbringing has allowed him to remain grounded in New Mexico. He continues to represent individuals and small businesses throughout the state in various probate and wills and estate disputes, construction, real estate litigation and real estate nondisclosure matters, and provides bankruptcy solutions and general civil and business representation. In re Costanza (Costanza v. Edwards) 151 BR 588.